5572 - Mild Climate, Anti-Siphon Sillcock & SS Box - Jay R. Smith MFG Co.
For installation in interior and exterior wall locations of buildings that are not subject to freezing. Vacuum breaker prevents contamination of potable water supply and conforms to the requirements of ASSE Standard 1011. 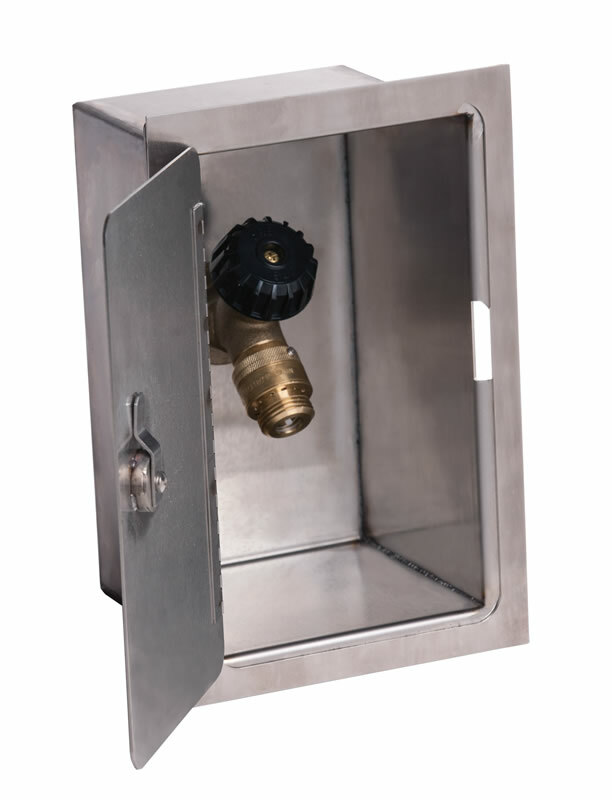 The stainless steel recessed box conceals the nozzle and operating mechanism. The locking cover prevents unauthorized use. Hose Valve has a Rough Finish Brass Body Removable Wheel Handle, "T" Handle Key, NPT Female Threaded Inlet Size Indicated by Figure Number Selected, ASSE 1011 Vacuum Breaker with 3/4"(19) Hose Connection and Stainless Steel Box with Full 180° Cover Opening.